“One arm of Lake Como turns off to the south between two unbroken chains of mountains, which cut it up into a series of bays and inlets…” Alessandro Manzoni. 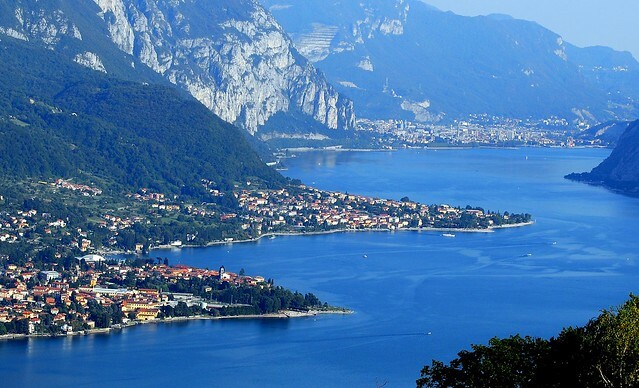 This boat route runs along the Lecco branch of Lake Como, with a departure from Lecco and arrival at Bellagio after a stop in Varenna. Villa Cipressi, now an hotel belonging to the city of Varenna, gives the possibility to visit, through a botanic pathway, century-old gardens with tiered terraces till the lake, containing plants of a rare beauty and worldwide botanic importance. There are hotels, apartments, villas and B&Bs available, check it out and make a reservation here.